Kayaking is a sport that is relatively easy to pick up, and you can be paddling happily within an hour. The spring and summer months are the perfect time to get out and about on one of our kayaks for sale and enjoy the many and wonderful UK kayak spots with your friends and family. Before going to one of the many top kayaking locations, you need a good skill set first. If you are a beginner kayaker eager to get out on the water, we are here to help with some handy tips for beginners that will help your kayak adventures go off without a hitch. We also have kayak starter packs available online for when you feel confident enough to kayak with friends. Total kayak novices are best getting a lesson first, and although you might think it is not that difficult, you could find yourself going in circles or unable to recover from a capsize. Lessons are not that expensive, and you can find a centre near you that will offer beginner lessons through Go Canoeing! One of the most important things to consider when preparing for your kayaking adventure is your clothing. 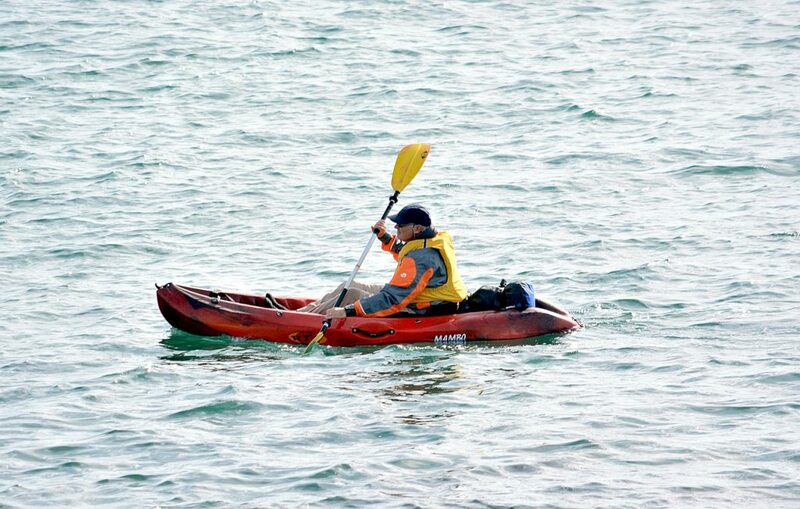 Although the air temperature for the day may seem mild, the water will most likely be substantially colder, so dress for the water not the weather; if your kayak capsizes, you will quickly learn that this is an important lesson on what to wear. Beginners are best to just go for a wetsuit, with kayaking gloves and waterproof clothes. As you get more experienced on the water you may want to layer quick dry clothing to create a suitable outfit, this way nothing will stay damp for too long and you are able to remove layers if too warm. Always have back up clothing too, so you have something dry to change into after kayaking. ​​There are a wide range of kayaks to go for and the type of kayak you require will depend on your height, weight, experience, location and water conditions. Beginners to the sport may prefer sit-on-top kayaks, as they are easy to paddle and stable. In choosing the correct kayak you will be setting yourself up for success and in purchasing a vessel unsuited to your needs, you will only hinder your learning curve. If you are unsure at all, feel free to get in contact with us and we can help you to find a suitable kayak to buy. Safety is vitally important, particularly so in the water, so ensure that you are correctly prepared with safety gear such as life jackets or buoyancy aids. When you go paddling with a school or club, buoyancy aids are provided, but when paddling alone, make sure you have one of your own or there is a place to rent them. You also want to make sure you are confident enough to go out on the water, and more lessons will help build your confidence and help you be more aware of the safety precautions you should take. Knowing how to position yourself correctly in a kayak will make paddling come easier. It is best to sit straight up, with your feet resting on the foot pegs and knees bent upward and outward to help with thigh bracing. When you don’t sit properly, you may find yourself getting uncomfortable in the kayak very quickly, and it can also effect your paddling. It is not just about the way you sit in the kayak that can make a difference to your paddling experience; holding the paddle the right way helps too. Hold the paddle with both hands, with your hands just over shoulder distance apart. You want to have the concave part of the paddle’s blade facing you, so it should sweep through the water. Ask your instructor to adjust your grip if you feel like it is not comfortable for you. 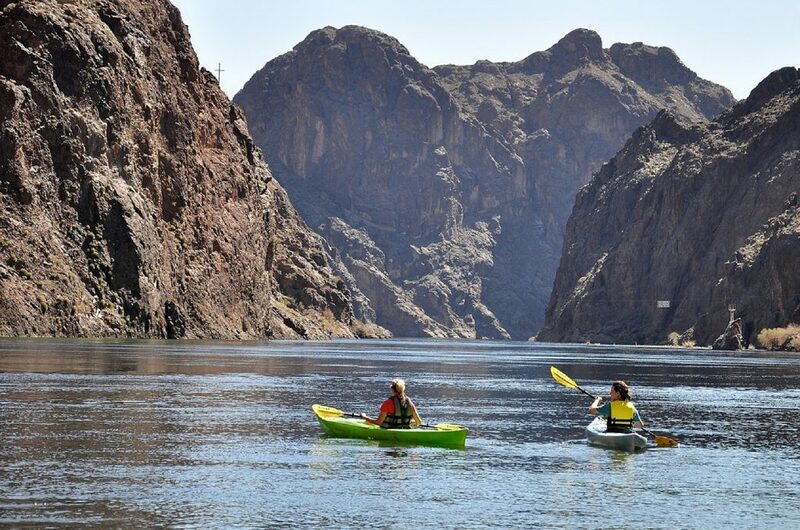 Flat waters such as lakes and ponds are the perfect place to learn the basics of kayaking. This is mostly because they are flat. With little motion, it is much easier to find your balance and practice on calmer waters. You may even want to start your learning just sitting in the kayak on land before heading into the water as this will help you get a feel for the vessel and its features before heading into the water. Before you even get into the water, you should know how to rescue yourself and others. You might not capsize all the time, but it is good to be prepared. Go through the basic drill of capsizing with your instructor until you are comfortable with it. Remember to stay with your boat if you capsize, and keep yourself and any others safe. Don’t worry if you lose a paddle or other equipment; people come first in a dangerous situation. The water can be unpredictable, especially for newbies, and the best tip for beginner kayakers is to not go alone. We recommend bringing a friend along as both a safety measure and for added fun! Together you can help to build each other’s confidence on the water, explore together, you will learn a lot from one another’s mistakes and there will be someone there should either one get into trouble. 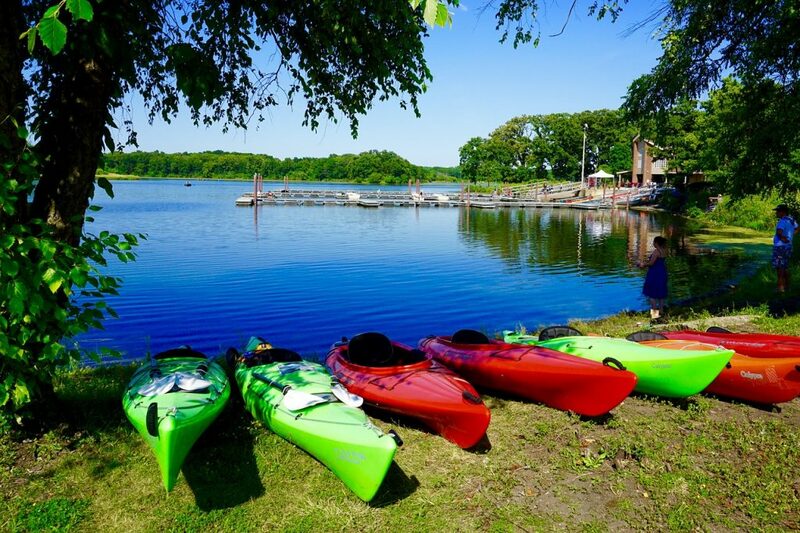 Kayaking is an incredibly enjoyable sport that you can enjoy together in small or large groups, so get out there today and learn the ways of the waters!